Introduction: Finally something new in blade design! 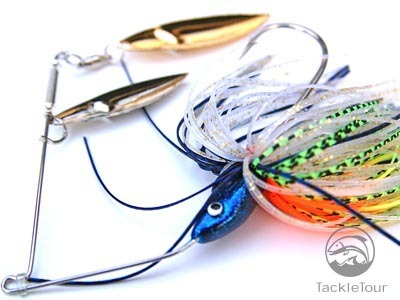 Kevkel Baits introduces new, slow roll enabled double willow leaf spinnerbaits. Attention slow roll spinnerbait fishermen! Kevkel Baits out of San Jose, California debuts a next generation spinnerbait with a patented blade design. 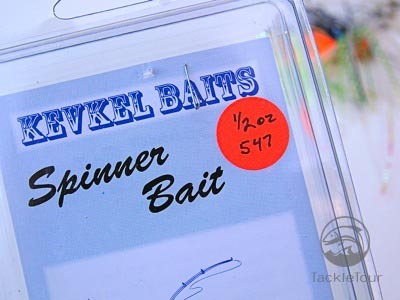 About Kevkel Baits: Have you heard of Kevkel baits? Didn't think so. 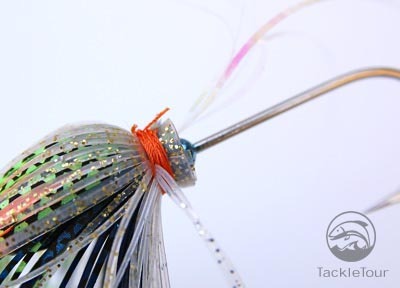 This boutique manufacturer has been gaining steam in the Bay Area and sells their jigs and spinnerbaits regionally through custom orders, though they are starting to now work with dealers. So what's new? 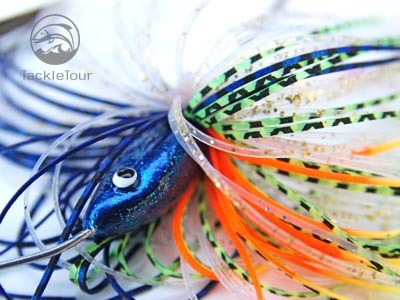 Featuring other top end characteristics like custom hand tied silicone skirts, crinkled mylar trailer and a variety of blade configurations, what makes these new spinnerbaits from Kevkel special is their patented, louvered blade design. 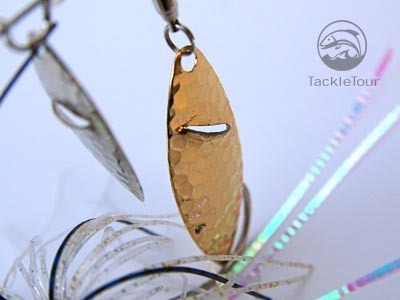 Double willow blades have been the norm out west when waters warm and fish get active, but now, thanks to the louvered blades on these new Kevkel Spinnerbaits, double willows aren�t just about speed anymore. 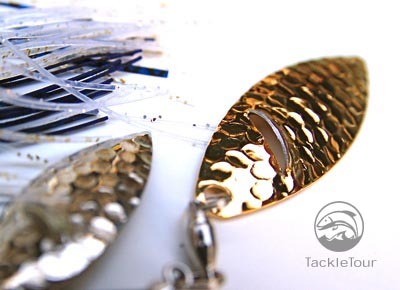 The blades on these baits feature cut louvers that enable the blades to turn no matter if your retrieve is fast or slow. The louvered blades look like open fish gills over the blade, and when water passes through them they assist in rotation at any speed. The gaps are a semicircle and not a sharp edge so that they shouldn't hang up in structure any more than a normal blade. On the business end of the bait Kevkel uses a long-shank Gamakatsu hook which is both extremely sharp and durable. The blades are attached to high quality swivels and painted heads to match the skirts. All in all the baits have a custom feel too them, and the company builds them to the exact color and weight specifications requested by customers who are looking for a new way to slow roll spinnerbaits. Retrieve the baits quickly and they still can be burned, and the louvered blades will spin and flash just like normal blades at high speed. 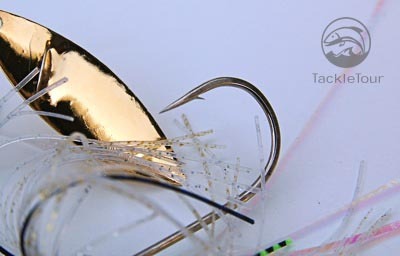 It remains to be seen if the water flowing through the blades has the added benefit in terms of adding another positive strike inducing element to the bait, after all fish do sense minor disturbances in the water, but we will reserve judgment on this for our actual tests. Conclusion: So often we see new patterns, head designs, and colors...the Kevkel design is none of the above. Instead the company studied basic hydrodynamics to see how they could fundamentally change the way blades ran in the water. 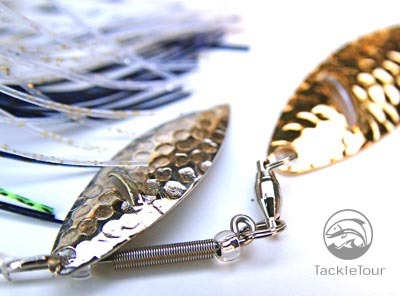 The Kevkel louvered design focuses on altering the swim rate of traditional spinnerbaits, but in doing so allow anglers to mix up the way they would normally fish these baits. We have a feeling that with the recently granted patent Kevkel is going to have to expand beyond their current custom build to order operation. The company is now accepting dealer inquiries but RMD (Kevkel partner) can still be contacted directly for orders in the meantime at (408) 988-1785. Stay tuned as we put the blades through the paces in a full blown review.